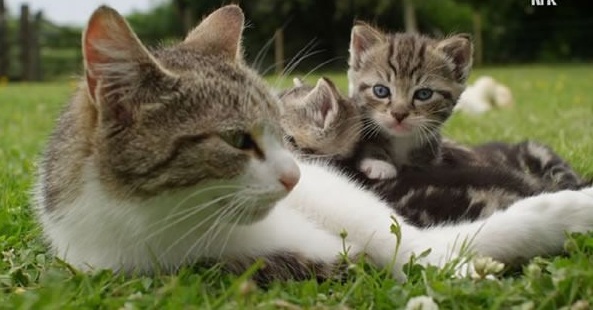 Della is a cat from Ireland that stunned everyone with the strength of her motherly instincts. 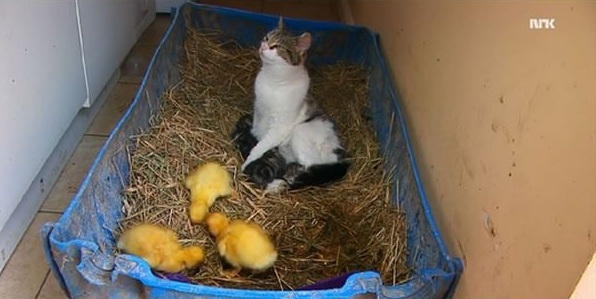 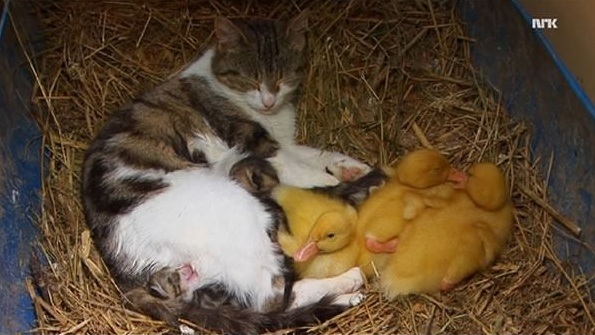 Short time after giving birth to her kittens, this newly established animal mother came across some ducklings and, in a surprising move, brought them to her litter. 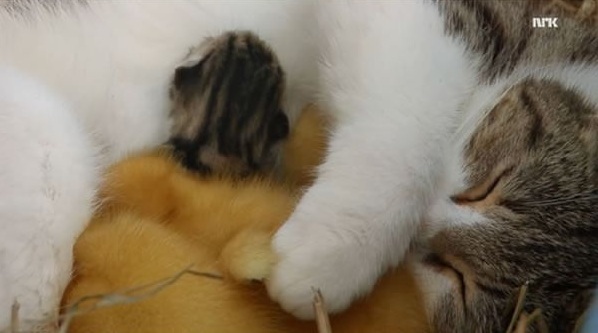 Amazing fact is that, if she came upon them just few hours later, her hormone levels would probably be different and she wouldn't be so friendly. 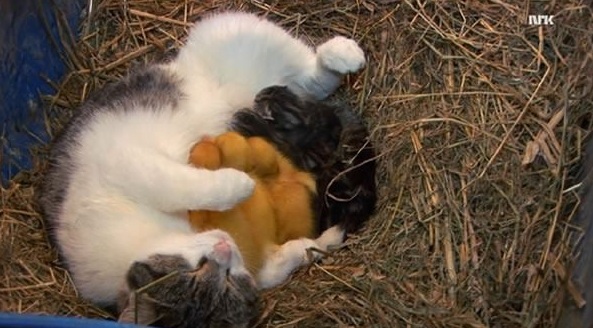 She nurtured them and cared for them in the same way as she did for her kittens.